These questions loom even larger when you find yourself diagnosed with brain damage due to a head injury. The frustration and disruption to your daily life is magnified by the confusion, fatigue, and fear that a brain injury brings with it. Most people have very little experience with the legal system, and are concerned that insurance companies, health care providers, defendants or even lawyers will take advantage of them. Making the right choice of legal representation matters more than ever when suffering from brain damage, and getting the right personal injury firm that is devoted almost exclusively to brain injuries is necessary to ensure that you are protected. If you are suffering from a brain injury, allow the experienced attorneys and staff at Brain Injury Law of Seattle to help you navigate this journey back to health and well-being. Our firm has nearly 50 years of combined, first-rate legal experience at your disposal. From an initial consultation with our attorneys and staff through the resolution of your case, you will receive the highest level of care, attention, and skill available to you. Our first concern is giving you the best chance to recover, and the right doctors, treatments, and therapies can go a long way in making that happen. Brain injuries are often referred to as the “silent epidemic” because high functioning people don’t want the stigma or judgment that comes from having such an injury. We will work with you and your medical team to get the best treatment available to diagnose and treat your brain injury – because the most important thing about your case is getting you whole again. When you hire our firm, we will be your attorneys to the end of your case. At Brain Injury Law of Seattle, we know the attorney client relationship is built on trust and the belief that your attorneys have your best interests at heart. We will never pawn you off on another attorney if your case doesn’t settle quickly. We are a team of experienced and committed trial attorneys with years of experience, who will use that experience to protect you. Day to day living is hard enough with a brain injury. To properly heal, you need to rest your brain. We will handle all of the distracting decisions that can overwhelm you while you should be focusing on recovery. We will coordinate your care, catalogue your bills and records, and deal with the insurance companies questions. Most people with brain injuries are unsure of where to turn to for the right medical care. At Brain Injury Law of Seattle, we make sure we remain on the cutting edge of technological advancements in the diagnosis and treatment of brain injuries. Getting you the most up to date technically advanced medical care is important to diagnose, evaluate, and ultimately ensure you get the best care you need. By being at the forefront of technological advancements evolving issues, and approaches to treating brain damage, we are able to help our clients find the answers and solutions they need. Our lawyers share the collective experience of nearly 200 jury trials. We pride ourselves on our reputation as excellent trial attorneys, and are often asked by less experienced firms to be lead trial counsel in brain damage or other serious traumatic injury cases. Insurance companies know which firms are willing and capable of trying these types of cases, and are willing to negotiate because of this knowledge. Our preparation, experience, and reputation will make it more likely that your case will settle without having to go through the expense, stress, and risk of trial. Our entire staff is dedicated to working with and for you. Our clients benefit from the experience, compassion, and hard work of Sherry Clem, our Case Manager Paralegal with over 20 years of experience on brain injury cases. They also benefit from the diligence and professionalism of our Litigation Paralegal Gayline Vernon, also with over two decades of experience, and we have a full time Medical Records and Billing specialist to help you negotiate the confusing and frustrating medical billing and insurance process. One of the biggest complaints we hear from clients is that a former lawyer never let them know what was happening in their case. At Brain Injury Law of Seattle, we know how frustrating it can be to have a hard time contacting your attorney, so you will always be able to get in touch with an attorney or staff member and have your call or email answered within 24 hours. Brain Injury Law of Seattle specializes almost exclusively in clients suffering from brain damage. Over 90% of our clients are suffering from some type of traumatic brain injury. Having an experienced firm of brain injury attorneys who focuses almost exclusively on these complicated and diverse types of injuries is a powerful ally to have in your corner. We are constantly seeking to be innovative, creative, and push the boundaries of how we can best bring your claim and protect your best interests. 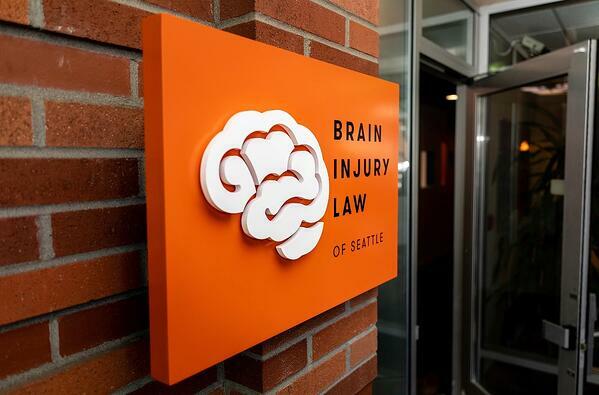 If you find yourself suffering from brain damage, are confused, don’t know where to turn, or are just frustrated with the types of personal injury lawyers you’ve had to deal with so far, please give the brain injury attorneys at Brain Injury Law of Seattle a call. We want to talk with you about your case, make sure you are getting the help you need, and get you back on the path to feeling like yourself again.